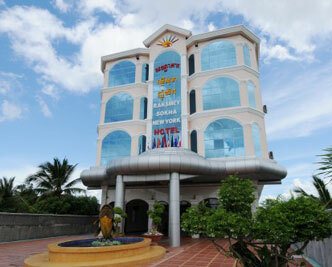 The hotel started to be constructed on 27 July 2009 on the land area of more than one hectar located in Sre Pring Village, Sangkat Kampong Chhnang, Kampong Chhnang City, Kampong Chhnang Province. There are two buildings. One main building consists of 6 floors and 71 rooms, in which 65 rooms are equipped with air conditioners while the other 6 rooms are equipped with fans. Also, all rooms are equipped with cabled TV while some rooms can also access to internet.